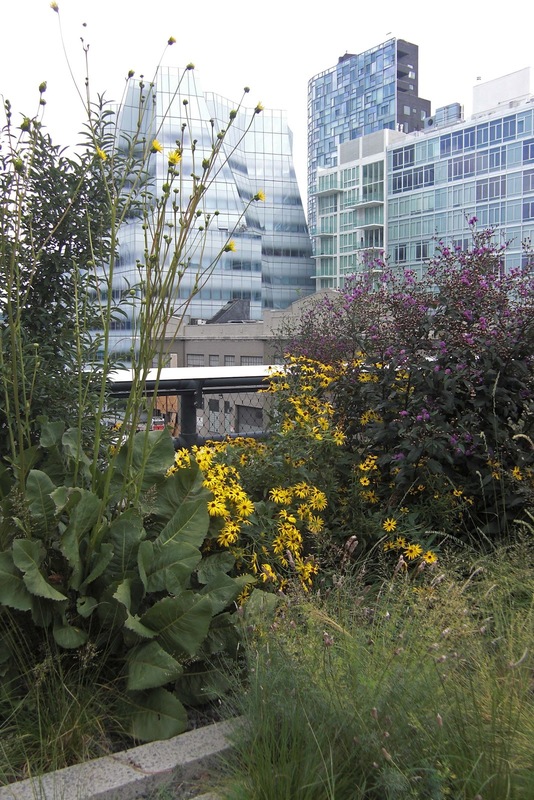 An unusual park runs along the west side of Manhattan. Recycled from the remains of the old elevated train line, it snakes along between old and new buildings, offering views of the Hudson River, skinny patches of perfect green lawn and places to lounge in the sun. Everything seems different up there at eye level with all the second floor windows. The train tracks remain, converted into beds for native plants. Flowers bloom, nodding their heads in the breeze. 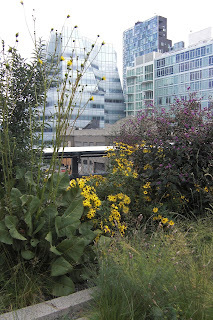 Up on the High Line, you are somehow both in the city and removed from it, experiencing the best of both worlds.